There are still some places on this earth where one could imagine the paradise. 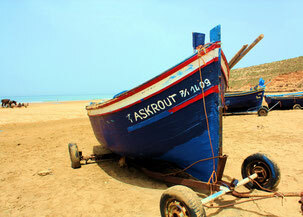 One of these places is Iftane, a small creek at about 50 kilometres to the south of Essaouira. Only a few fisherman's huts remember the civilisation. During the day, their boats are lying on the beach, the fishermen repar the fishing-nets, chatting and drinking the moroccan green-tea with mint. This natural Atlantic-beach between rocks and sea, will be the destination of an excursion by camel with bivouac to which the Randos des Dunes invite their clients. 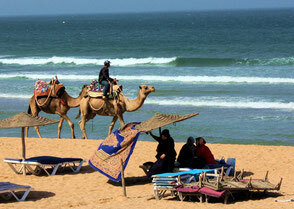 We shall start from the beach of Essaouira, crossing villages and landscapes. 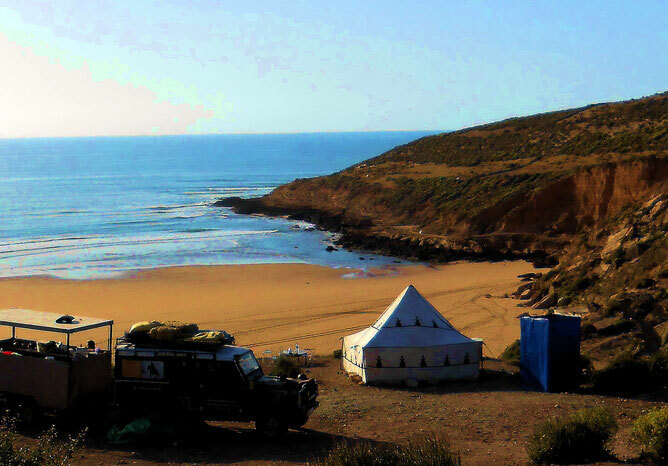 We will spend the first night in a berber-tent under the oldest argan-tree of the region, near of Sidi Kaouki. The next morning, we will continue our way. Arrival at Iftane, where we will spend the second, and, if required, some following nights. You can go for a swim, make hiking, relax and enjoy the silence. Our team will take care to indulge you with typical morrocan food. 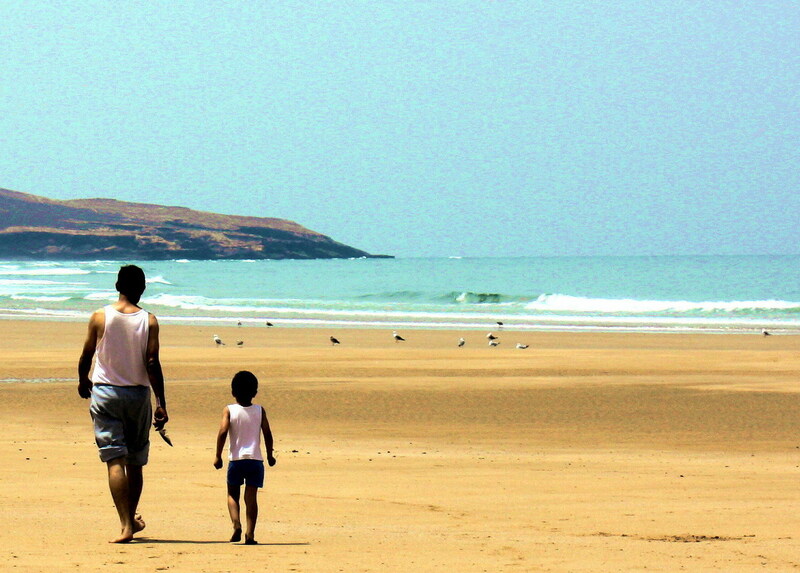 Return through the coastal landscape, pic-nic at the oasis Sidi Embarek. Night stop at Sidi Kaouki. Bagages and bivouac-equipment will be transported by camion. The bivouacs last from 3 days to one week. For the prices: look "Rates".